Born in Glasgow, the son of a prosperous corn merchant, he trained as an architect with Alexander Munro, and set up his own practice in 1853, at 213 Buchanan Street. Briefly giving up his Glasgow practice, he relocated to London as an assistant to William Burn. On his return to Glasgow in 1854, he opened a new practice at 13 Moore Place, specialising in ecclesiastical buildings mainly in the Gothic style. He made his name with the competition winning Free West Church, Greenock (1861), and Lansdowne UP Church, Great Western Road, Glasgow, where he employed the architectural carver James Shanks to execute its exterior decoration (1862). Contemporary with these was the Park Church in Helensburgh, which features carvings by William Mossman II and W J Maxwell , the latter�s first commission (1862); Trinity Congregational Church, Glasgow, with sculpture by William Mossman II (1863-4); and St Silas Episcopal Church, Glasgow, with a partially completed scheme of carvings by Thomas Earp of London (1863-4). Throughout the 1860s and 70s, he continued to design churches and expanded his client base to include educational, commercial and domestic commissions, several of which included sculptural contributions from the Mossmans , Charles Grassby , James Young , and McCulloch & Co. of London. These include the Barony Free Church, Castle Street (1866, dem. ); the domestic Craigie Hall, Bellahouston (1872); the commercial Ca d�Oro, Union Street (1872); Fairfield School, Govan (1874-5); and Henderson Street School, Woodside (1874-6. dem. ), the latter two decorated by Grassby. The Ca d�Oro, 41-5 Union Street, was Honeyman�s secular masterpiece. It was also his most unusual building, its having been built with cast iron upper storeys resting on a stone arcade at ground level. Ornament abounds about its Venetian Renaissance facades; its stonework richly carved with plants and fruits and small enigmatic human faces, and its ironwork lavishly cast with lattice patterns and organic mouldings. It lacks, however, the female statues which were originally intended for its upper floor, their places occupied instead by cast iron urns. Honeyman proved himself adept in the Classical and Renaissance styles for his churches and non-commercial buildings, such as the porticoed Sir Peter Coats Library and Museum, Paisley (1866); the towered Cathedral Square UP Church, Glasgow, which features parapet statues of the Evangelists and niche statues of St Peter and St Paul by McCulloch's studio in London (1878-80); and Westbourne Free Church, Glasgow, which is distinguished by a temple front derived from St Paul�s Cathedral, London (1880-1). He also designed monuments for graveyards, one of his earliest being the monument to James Drew, possibly for the Necropolis, which was produced by the monumental sculptor John McKinnon for �40.10s (1856); together with the Gothic monument to the engineer and shipbuilder John Elder in the Necropolis, by William Anderson (c. 1869). His other cemetery work includes the three wall tablets in Cardross Churchyard enclosed with railings and gates by the Sun Foundry (1871), and a granite monument with black marble slab at Rothesay, which cost �41.2s.5d. (1875). In 1885, Honeyman was commissioned by the widow of John Elder to lay out Elder Park in Govan, opposite her Fairfield Shipyard, its Gothic-style gatepiers on Govan Road carved with thistles, flowers and stiff-leaf ornament by James Young . During the 1880s, Honeyman, together with his rivals, suffered greatly from the collapse of the City of Glasgow Bank in 1879, which ruined many of their clients and brought a halt to building operations in the city. One of the projects which was hoped to relieve the resultant trade depression was the construction of Glasgow�s City Chambers. Although Honeyman refrained from entering its design competitions, he was severely critical of their handling. With his business struggling by the end of the decade, he was joined by John Keppie, the former chief assistant to James Sellars , in 1889, who brought with him Sellars� unfinished designs for Anderson�s College of Medicine, Dumbarton Road, and who was made a partner in the renamed firm of Honeyman & Keppie. That same year, Keppie introduced Honeyman to one of the most promising graduates of the GSA , and invited him to become one of their draughtsmen. His name was Charles Rennie Mackintosh , and his participation in the firm�s projects was to accord it the legendary status which it enjoys today. Among the firm�s celebrated projects during this period were their unsuccessful competition designs for Kelvingrove Art Gallery and Museum, 1891-2, one of which, a Classical temple, was designed by Honeyman himself, and another, a multi-towered Renaissance palace, was largely designed by Mackintosh, whose hand is most evident in its astonishingly elaborate programme of figurative, Glasgow-style sculpture. Fairfield Shipyard Offices, Govan Road, designed by Keppie, with statues by Macgillivray and reliefs by McGilvray & Ferris (1890); the Glasgow Herald Building, Mitchell Lane, by Mackintosh, with carverwork by James Young and McGilvray & Ferris (1893); the Canal Boatmen�s Institute, Port Dundas, with a lion and shields by McGilvray & Ferris (1894. dem. ); Queen Margaret Medical School, also by Mackintosh, with heads also by McGilvray & Ferris (1894); and Glasgow School of Art, Mackintosh�s masterpiece, which has a doorcase group modelled by the architect and carved by Holmes & Jackson (1897-1900). The firm�s most important commercial building in the 1890s was Pettigrew & Stephens� Manchester House, 191 Sauchiehall Street, designed by Keppie, with decorative details and a dome by Mackintosh. The building's extensive sculpture involved the participation of a number of sculptors and carvers, including McGilvray & Ferris; Anitza McGeehan, who modelled a series of figurative corbels and panels; Albert Hodge , who modelled five statues for the facade and dome; and William Shirreffs , who carved the Putti reliefs around the building�s clock (1896-1901). Added to in subsequent years and extended into Bath Street, the store was to receive bronze figures and ornate metal work by Benno Schotz , Keppie�s prot�g�. This magnificent department store was demolished in 1973. 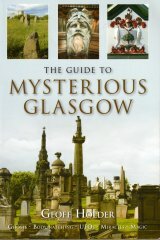 McGilvray & Ferris were also responsible for the plaster reliefs and decoration in Mackintosh�s iconic Willow Tea Room, Sauchiehall Street (1903) and T & R Annan�s photographic studio at 513 Sauchiehall Street, which features statues of the Delphic Sybil and the Prophet Isahia on its fa�ade by Richard Ferris (1903-5). Honeyman eventually relinquished most of the firm�s designing to Keppie and Mackintosh due to his failing eyesight which, by 1900, had left him completely blind. He retired from active participation in the firm�s work in 1901, although his name was retained in the firm�s title until it was renamed in 1917. John Honeyman died virtually penniless on 8th January 1914. He was buried in the Necropolis in an unmarked grave in the Upsilon section of the cemetery, between two monuments to the Tennent family. After Honeyman and MacKintosh's departure in 1914, the firm was renamed John Keppie & Henderson, after former assistant A G Henderson became Keppie's new partner, 1917-49. It later became Keppie, Henderson & JL Gleave, 1949-58; Keppie Henderson & Partners, 1958-81; Keppie Henderson Architects, 1981-89; SBT Keppie, 1989-95; and then Keppie Design, founded in 1995. The firm is currently in the hands of Managing Director David Stark, who recently published a history of the firm in 2004: Charles Rennie Mackintosh and Co. 1854-2004 (Stenlake Publishing Ltd).